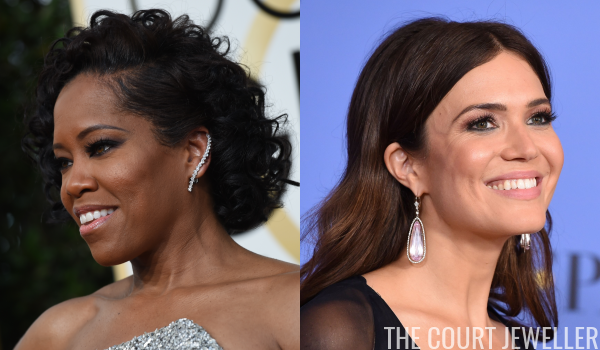 Naomie Harris, who was nominated for her work in Moonlight, wore a rather astounding pair of diamond earrings from Tiffany and Co.
Kristen Bell wore an amazing pair of diamond hoop earrings from Harry Winston. 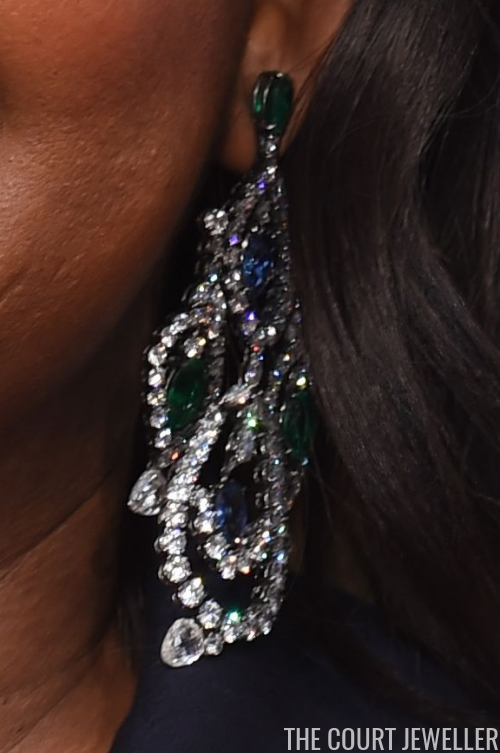 Susan Kelechi Watson, one of the stars of the nominated show This Is Us, wore a similar (and similarly gorgeous) pair. 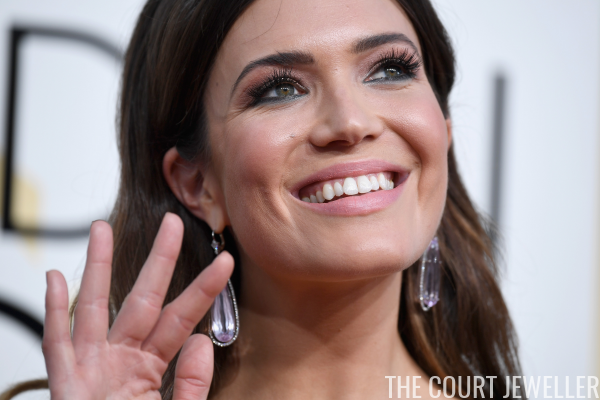 Mandy Moore, who was nominated for her role in This Is Us, wore a pair of Neil Lane statement earrings that wouldn't look out of place in a royal parure. They're fifty-carat teardrop-shaped kunzites set in platinum! 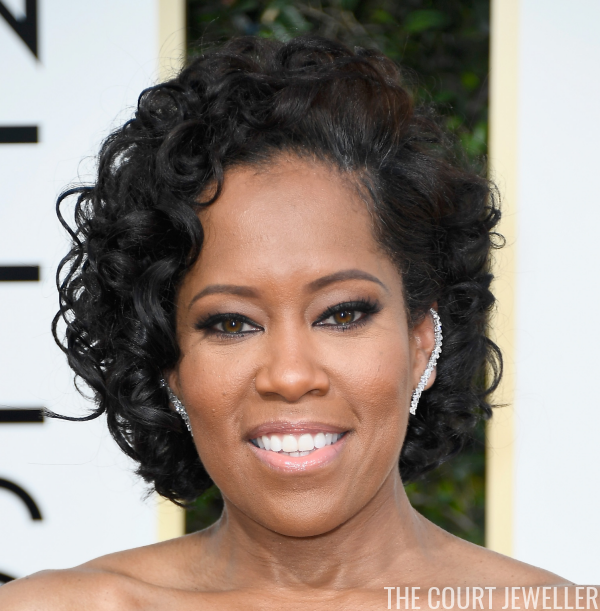 Regina King, who was nominated for her role in American Crime, wore super-cool diamond ear climbers. 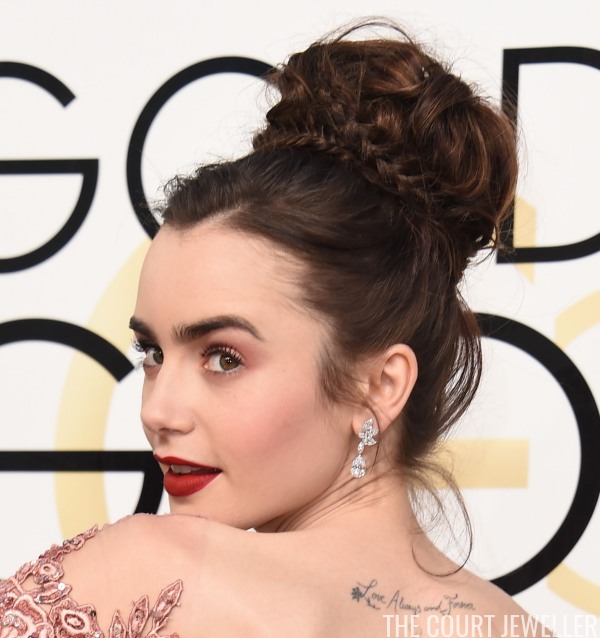 Lily Collins went with classic diamonds loaned by Harry Winston. 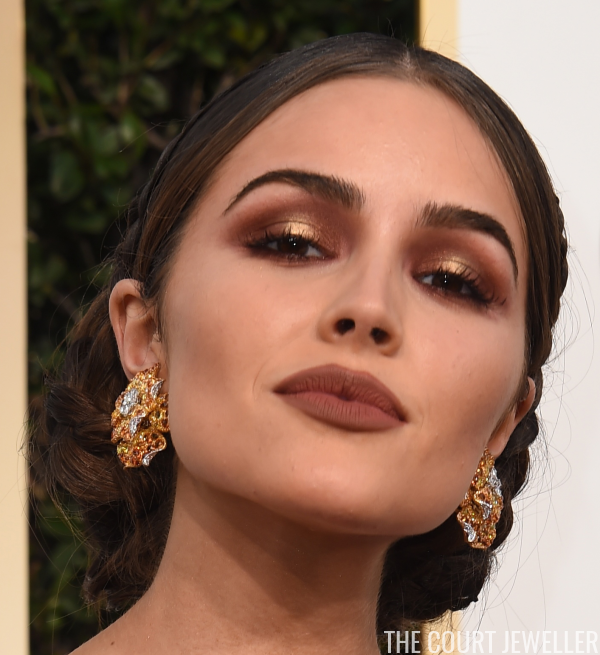 Olivia Culpo went with bold golden statement earrings. 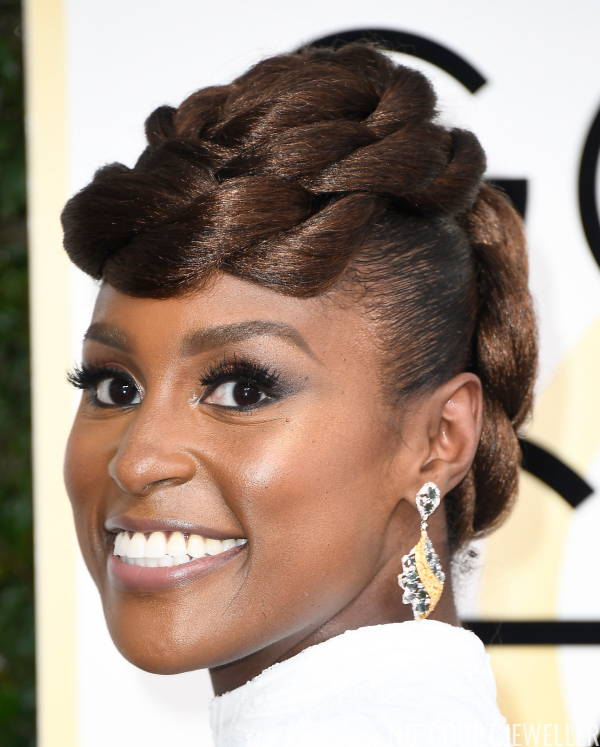 Issa Rae, nominated for her role in HBO's Insecure, dazzled in the Venom Chadonne earrings from L'Dezen Jewellery. Sofia Vergara, one of the evening's presenters, wore a glittering pair of waterfall earrings from Lorraine Schwartz. 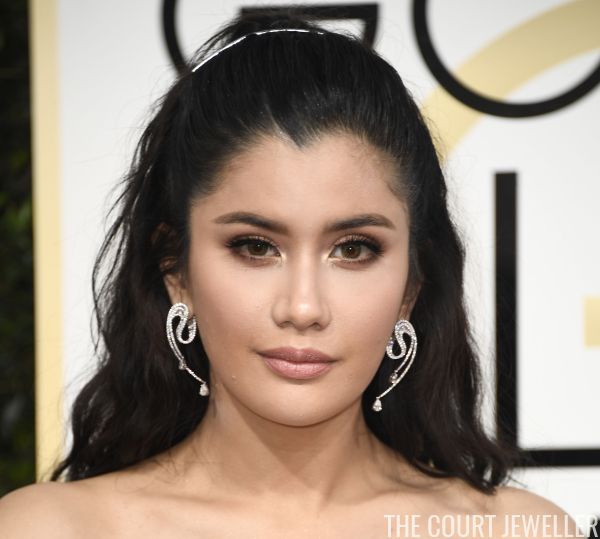 Stay tuned here for more Golden Globes jewel coverage throughout the day! Labels: golden globes , harry winston , hollywood royalty , l'dezen jewellery , lorraine schwartz , neil lane , tiffany and co.